Optherium is a robust blockchain-as-a-service provider that any business can benefit from. By introducing a pioneering MultiDecentralized Private Blockchains NetworkTM, this platform offers a full-featured Operating System, turning this Global Finance Blockchain Infrastructure into the standard that will bridge the gap between the traditional and digital economies. As non-cash payments have become the norm, cryptocurrency could revolutionize the economy by becoming a daily means of spending, used interchangeably with fiat currency. But for now, there are still many issues that have prevented cryptocurrency from becoming a mainstream asset. People are still scared of losing their fiat money upon transferring it to a digital currency. Not only do they not know how to do this properly, but they are also unsure of which digital currency they should invest in, how to get it where to store it, and most importantly, how to use it or convert it to fiat again. Simply put, they don’t know how to manage their digital assets. Any solutions? We’ve got one. Imagine there is a product that makes crypto spending easy, cost-effective and hassle-free. That product is the Optherium Ecosystem. Do you wonder why Optherium calls itself the new blockchain standard? Let’s take a deeper look. 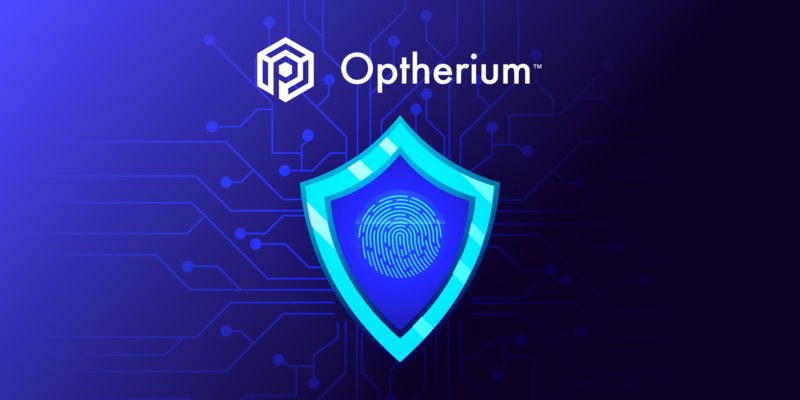 The Optherium Modular Ecosystem utilizes a private MultiDecentralized blockchain that is Multisecure, supports multiple currencies, uses dynamic biometric verification, and employs instant multisignature transactions with confirmations on a Hyperledger Platform. Simply put, with Optherium individuals and corporations alike can store their digital assets and execute instant transactions around the world. Optherium’s Modular Ecosystem confirms up to 100,000 transactions per second. That’s 4 times faster than Visa. Intriguing, isn’t it? If you want to see the Optherium Ecosystem in action, look no further than VivusPay, which leverages Optherium’s private blockchain Ecosystem to deliver the unprecedented speed and layers of security, all within a multicurrency digital wallet that supports worldwide payments and transfers. With VivusPay, which is already up and running for both iOS and Android users, you can pay with crypto to your partners and they, in turn, can receive the fiat or crypto of their choice. If a buyer wants to spend Bitcoin, but a seller wants to accept U.S. dollars, Optherium’s Ecosystem enables that transaction near-instantly, anywhere in the world. So, why not starting sending, receiving, and exchanging cryptocurrencies globally at confirmation speeds of up to 100,000 transactions per second? One of the most sought-after components of the Optherium Modular Ecosystem is its Key Recovery Service. This ensures you will always have access to your digital assets. The mobile app includes a Wallet Provider Service, KYC protocol, Dynamic Biometric identity verification, and biometric key recovery. Each of these services is MultiDecentralized and Multisecure, yet networked together to share functionality. Solid time saving: forget about wasting time and effort on exchanging fiat money to crypto and vice versa. 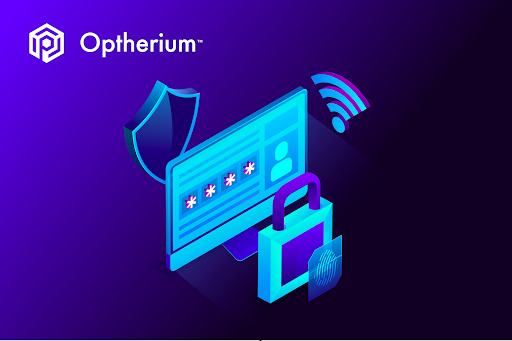 Advanced security: be sure of the security and convenience the Optherium card has to offer. Mobility: you can pay with your card worldwide using crypto and withdraw fiat money from any ATM. Trendiness: don’t underestimate this. Crypto is trendy and people are using it, especially amongst millennials who already possess some amount of Bitcoin or altcoins and know how to manage crypto finances. In a nutshell, not only does Optherium help users manage and use their digital assets more intuitively, but it was specifically created to fundamentally change blockchain technology so that it becomes highly usable by the banking and finance industries and ordinary people all around the world. So, be a part of something incredible, join the blockchain revolution and get your tokens today!